827 SW 147th Ave #1406, Pembroke Pines, FL.| MLS# A10576450 | Susan J Penn l Best Agent l Buy & Sell South Florida Homes! 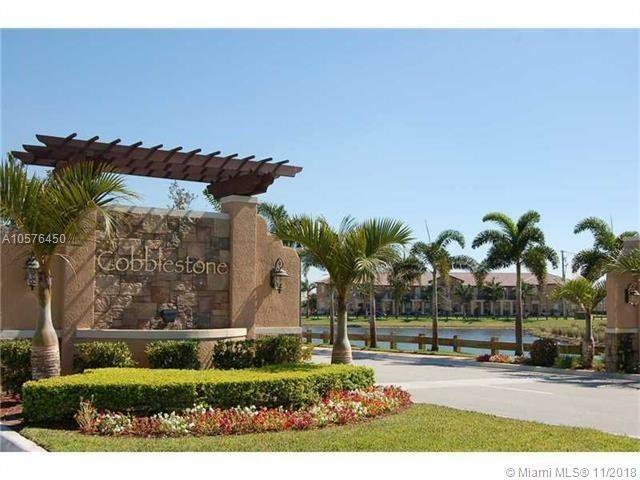 CONFORTABLE TOWNHOUSE 2BD/2.5BT AT DESIRED GATED COMMUNITY COBBLESTONE IN PEMBROKE PINES, OPEN KITCHEN. GRANITE COUNTER TOPS, SS APPLIANCES, OPEN BALCONY. WASHER AN DRYER. THIS GREAT UNIT IS LOCATED ACROSS THE COMMUNITY CLUB WITH AMENITIES: GYM, POOL, PLAYGROUND, LANDSCAPING. EASY ACCESS FROM I75 EXPRESSWAY. CLOSE TO EVERYTHING, SHOPES, ENTERTAINMENT, GREAT SCHOOLS, AND MUCH MORE.